Fast Funds offers custom ATM solutions for businesses, organizations and special events. Free ATM placement will allow you to start earning money without any overhead costs. We have an entire suite of products for your payment needs. Place an ATM in your business and you will make money from every transaction made. Point Of Sale enables you to accept payments from all types of debit and credit cards. Accept payment online! Give your customers more ways to pay you. Fast Funds will place an ATM in your business so you can start earning today! 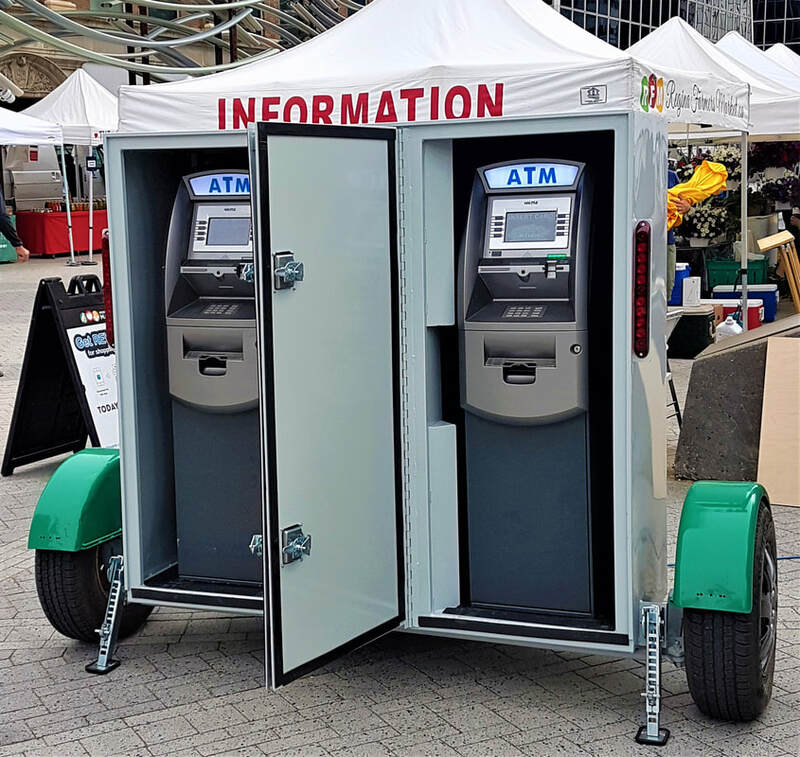 We have mobile ATM Trailers in Saskatoon and mobile ATM trailers in Regina to service festivals, outdoor/indoor events, or any location your customers needs cash. Do you already own an ATM or want to buy an ATM from us? Fast Funds will install it and do transaction processing for you. Fast Funds is founded on excellence in service. We do not lock you into long term auto renewing contracts. Our customers stay with us because of the level of customer service we provide.